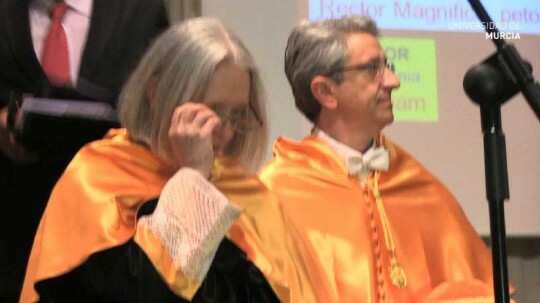 The professor of the american University of Columbia and Prince of Asturias Award (See more here) in Social Sciences Saskia Sassen on April 24, 2014 was invested Doctor Honoris Causa by the University of Murcia (UM). Warned about the increase of poverty and the number of displaced people to receive the doctorate honoris causa of the University of Murcia. 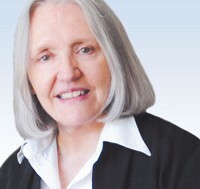 Sassen ended her intervention by asking whether “the so-called austerity programs that arise in the united States, Europe and countries of the North do not represent a new phase of the exploitation of the governments and of the people”. In the ceremony took part the professor and the godfather of the doctoral student Juan José García Escribano, the dean of the faculty of social work, and also godfather, Enrique Pastor and the rector, Jose Antonio Cobacho, which highlighted the merits of teachers and scientists of the professor, whose appointment was proposed by the faculty of Social Work. 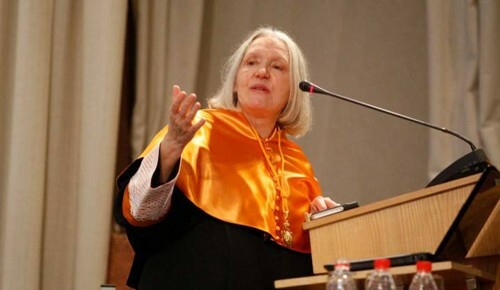 Saskia Sassen (The Hague, Netherlands, 1949) is a sociologist, writer and professor in Dutch.1 2 In 2013 was awarded the Prize Prince of Asturias of Social Sciences. It was, for many years, specialist of urban planning at Columbia University, in New York. Currently, he is a specialist in urban affairs, professor of Sociology at the University of Chicago and visiting professor at the School of Economics and Political Science, London, United Kingdom. Known internationally after the publication of his seminal work The Global City, 1991 (Princeton University Press), reissued and revised in 2001. More recently, he edited a collection of scientific articles on the subject in the Routledge: Global Networks-Cities Linked. 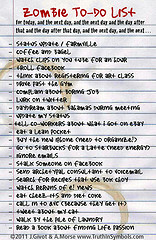 She is married with the sociologist Richard Sennett.